Lead is a heavy metal that causes neurological damage and can lead to mental and physical handicaps in children and adults. Up until 1978, lead pigment was manufactured for use in most household and industrial paints in the United States. Over the years, the degradation of this paint has caused thousands of cases a year of lead poisoning in California alone. Lead paint chips and dust from furniture, walls, and other building components contaminate living and working spaces. When lead paint is in good condition, it does not inherently pose a lead poisoning hazard. However, if the lead paint is disturbed by remodeling, demolition, or just normal deterioration over a long period of time, a lead dust exposure hazard is created. 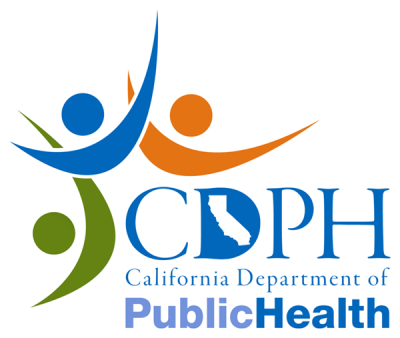 Our California Department of Public Health-certified lead inspectors and lead-sampling technicians will inspect your property for lead-painted components and lead-contaminated dust and soil. They will provide you with a report and consultation outlining actions that can be taken to resolve any lead paint issues associated with remodeling, demolition, or peace of mind. How do you inspect for lead paint? What do you look for? 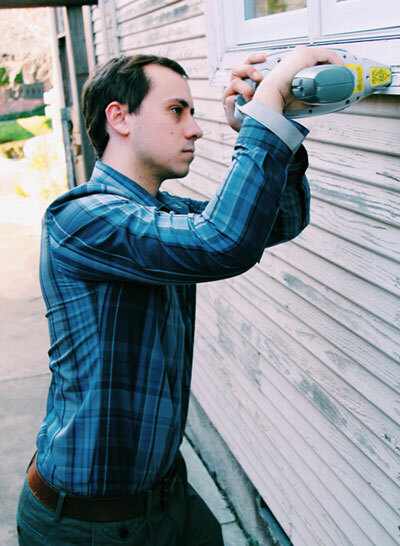 For residential jobs, Environmental Inspection Services employs the most advanced portable X-Ray Fluorescence (XRF) device, which instantly and non-invasively tests for lead paint. (For a more precise description of how the device works, click here). This means that in the process of testing for lead paint, we do not need to chip or damage your paint in any way. 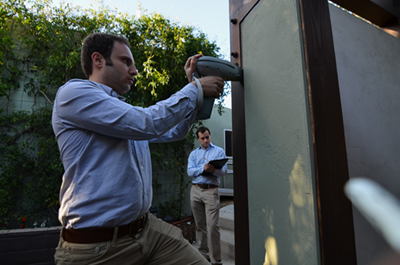 Environmental Inspection Services will go through your building, house, apartment, or condo and systematically use our XRF device on either every painted surface (full lead survey) or on a specific area of the building (partial survey) that is of concern or is expected to be repainted, renovated or demolished. In addition to using the XRF instrument for lead paint inspections, we can perform wipe sample testing. 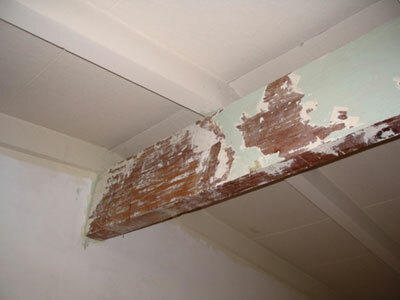 The more deteriorated the lead paint is, the greater the risk that it will add to the dust in your house. For this reason, we also do wipe sampling of floors and window sills near affected areas. These wipe samples can be analyzed on site – that is, in your home — with our XRF analyzer/device, and/or sent to an EPA-certified lab. Once any repainting, construction/remodeling/abatement has been completed, Environmental Inspection Services can test to confirm that lead hazard no longer is present. What about testing my business/commercial building? In the case of workplace-related (OSHA) inspections, we supplement XRF device data with paint chip sample information. We use a chisel to scrape a small — about a square inch — section of paint and send this paint chip to the lab for further testing. If lead paint is discovered, what should I do? For safe removal and maintenance methods, consult the EPA “Lead-Safe Certified Guide to Renovate Right”. How long does it take to do a lead paint survey? A residential lead paint survey can take anywhere from 1.5 hour to 4 hours (80 – 200 readings) depending on the size, age and style of the home. Older homes generally take longer because analyzing multiple layers of paint takes more time. Homes with more trim and decorative surfaces also take longer because there are many more components to analyze for lead paint content. Can a handyman remove lead paint? In order to remove lead paint, it is essential to be trained in lead-safe work practices. If your handyman has the appropriate training and skill set, the answer is yes. My neighbors haven’t tested for lead paint. Why should I? It’s the law (list regulations). It’s also the responsible and safe path to follow when undergoing any construction/remodeling/demolition. Lead is an extremely hazardous material with the potential to cause harm to you and anyone else on your property. Often people are unaware of or underestimate the risks associated with lead paint exposure, which is why too often you’ll see them neglect to take any precautions. I have young kids (or I am going to). What can I do to protect them from lead paint and lead poisoning? Lead is an especially potent toxin for young children. Although the EPA and FDA have established standards for levels of lead in the blood that are considered lead poisoning, there is no safe level of lead to have in your system. This is why Environmental Inspection Services recommends minimizing lead exposure hazards around the house. If your house, condo, apartment was built before 1978, lead from paint that can degrade into floor dust, window dust, and soil dust. It gets onto kids clothes, hands and face, and then into their mouths or lungs. It’s also important to look at your neighborhood. Are you near a busy street? There will be lead in soil and dust, left over from old leaded gasoline. This dust gets tracked into your house and can end up in your children’s lungs. Specific cleaning can be a short-term strategy. Removing or covering contaminated soil, refinishing or replacing doors, cabinets, windows can be a long-term strategy. You may want to test household items for lead — dishes, mugs, furniture, kid’s jewelry, toys, etc. What is the definition of lead paint? For XRF analysis, a lead concentration of 1.0 mg/cm^2 (milligrams per square centimeter) is considered to be lead paint. Some municipalities such as Los Angeles county have a stricter limit of 0.7 mg/cm^2. For lab analysis 0.5% and 0.06% by weight is lead paint, depending on your municipality. *Note: Even if lead in paint is below these thresholds, we recommend following lead safe work practices. Is there lead in my soil? Environmental Inspection Services can test on-site for lead levels in your soil in addition to sending samples to a lab for verification. 1) In certain regions, it is natural for soil lead concentrations to be high. 2) Lead in the exterior paint on your house/building oxidizes or chips off and contaminates your soil. If there is lead in my soil, can I grow vegetables and fruits? XRF findings are available on-site. Lab analysis takes 2-3 working days. Express results are available at an additional charge.